If you are just tuning in, 2 weeks ago I started a 4 part series on how to shop Walgreens. If you missed them, be sure to check out Part 1 of 4 and Part 2 of 4 before moving on. It’s no secret that Walgreens is by far the trickiest drugstore to shop at. There are so many rules to shopping there that sometimes your head can spin! Especially if you aren’t familiar or comfortable with the in’s and outs of shopping that store. Because of this, I think many people avoid shopping Walgreens because they just don’t get it. That’s such a shame, because there are some great deal to be had and it can be super easy to shop there if you know how to play by their rules. 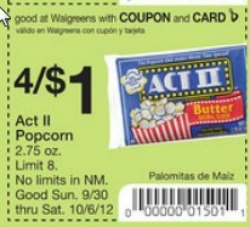 This week we are going to talk about Walgreens in store coupons and how to use them. Walgreens is great because they offer lots of in store coupons that can be stacked with manufacturer coupons to maximize savings! Instant Value Coupons can be found in the weekly store circular which is found at the front of the store. They are valid Sunday – Saturday. These are store coupons that will set the price of an item. Think of it as setting the sale price. You do not have to purchase the amount shown on an IVC, you can buy 1 or many (watch for limits) and get the sale price. In the example above, you can purchase (1) at $0.25 or (4) for $0.25 ea or (7) at $0.25 ea. It doesn’t matter how many you purchase (within the limit), you will get them each for $0.25. There is usually a limit of how many you can buy– this will be noted on the in ad coupon. You can see that the limit on the Act II is 8. If you want to buy more than the limit listed, do more than 1 transaction. These coupons don’t have to be cut out and can be scanned right from the store circular. The cashier must scan the coupon to activate the sale price! The cashier only needs to scan it once and it will use the sale price for each participating item you are buying. These coupons don’t count towards your coupon/item ratio since they are not RR or manufacturer coupons. These in ad coupons can be stacked — Meaning you can use a manufacturer coupon along with an in ad coupon. 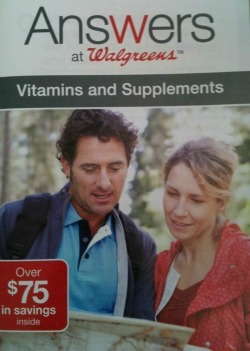 This is the Walgreens monthly coupon book which is found at the front of the store with the ads. These coupons don’t have to be cut out and can be scanned right from the Monthly Coupon book! The cashier only needs to scan it once and it will take the appropriate amount off each participating item you are buying. These coupons can be stacked — Meaning you can use a manufacturer coupon along with the monthly booklet coupon. These can typically be found all over Walgreens on any give day. Often you will see coupon booklets at the beauty counter or the vitamin aisle. These can be filled with store and/or manufacturer coupons. Make sure you know which, so you know if you can stack them. 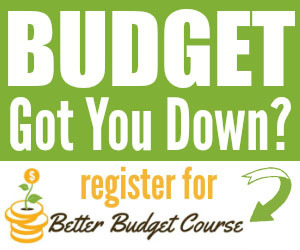 To get the best price for the item, you want to make sure you are purchasing the amount shown. In the picture above, you will see that often the in ad prices will say something like 2/$4 or (1) for $2.29 ea. Obviously, to get the best price, you will want to purchase them in multiples of 2 so that you will get them for the lowest price. Yes! You can use a store coupon and a manufacturer coupon on 1 item. Don’t let your cashiers tell you otherwise! If you are having trouble with a cashier or store allowing the stack, take a look at the ad. Often times they will promote use of a coupon along with an in ad coupon. If you can find an example of this in the ad, make sure you save it as proof for next time. When items are featured in a Buy One, Get One Free promotion, up to two coupons can be used against the items being purchased, as long as the net price does not go below zero for the items being purchased. This means, if you have a BOGO sale, you can use (2) $x/$1 coupons or (1) $x/2 coupon. 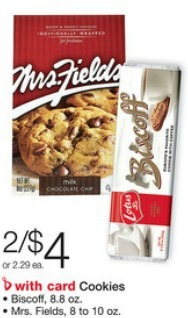 You can also use a BOGO Free coupon on a BOGO Free sale to get both items for FREE! The coupon will beep if you didn’t purchase the right item. If the coupon is expired. If the amount of the coupon is more than the price of the item. In this case, your store should adjust the coupon value down t meet the cost of the item (this is stated in their coupon policy if you have trouble with this). The coupon will beep if you are using more manufacturer (including RR’s) coupons than items in your cart. Remember, at Walgreens, you have to have an item for every manufacturer coupon you are using. If you have less than you are using you will want to throw in a “filler” item so the coupon has an item to attach to. Always check the top of the coupon to see if it says Manufacturer or Walgreens. If you find the coupon in the Walgreens Ad or Walgreens coupon book found at the front of the store, it is most definitely a store coupon. Walgreens coupons start with “0”, manufacturer coupons do not. A manufacturer coupon will have fine print at the bottom with retailer instructions on where to send for reimbursement. A store coupon does not. Next week I’m going to be sharing which order you should hand your coupons over (and why) along with some tips and tricks to making Wags shopping a lot easier! Be sure to check back in! This is a great series!!! Thanks for sharing! 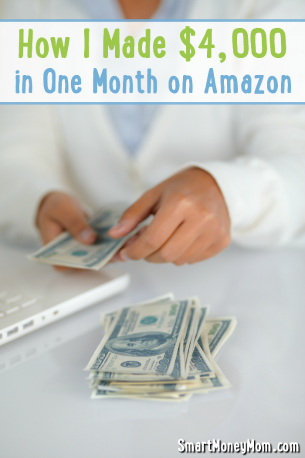 I’m just getting back into couponing after being away for a while and am trying to understand the balance rewards program. Do balance rewards apply before or after coupons? Hi Amy, Balance Rewards are calculated on the pre-coupon total, much like RR’s (before manufacturer coupons but after Walgreens coupons). Hope that helps! Thanks Kara but yesterday I did the buy $20 worth of choclate get 5000 points buy $15 get 2500 points. My total before coupons was $25+change after coupons $17 plus change. I only got 2500 points even though my pre-coupon total was above the $20 total. The manager gave me the additional 2500 points because she couldn’t say if it was supposed to be before or after coupons. I wanted to do the deal again on Friday for the friends and family coupon but not if I don’t get the 5000 points. 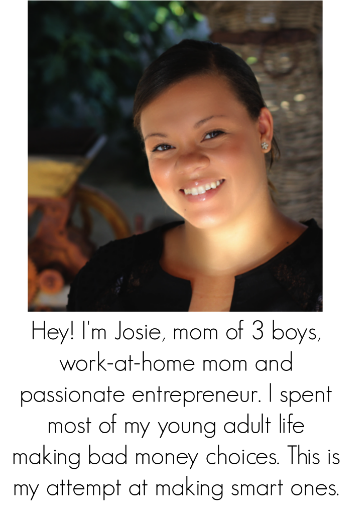 Thanks, Josie! One additional note that I don’t think I saw above is that coupons for multiple items “attach” to all those items, meaning that it doesn’t just count as one coupon in your coupon count.